S2F network understands the digital revolution through permanent innovation within Internet of Things in France and over the world. The company brings its customers disruptive solutions and a profitable economic model by spreading its smart networks. Les Dirigeants Commerciaux de France, or DCF, are a business leaders/managers network and SMEs/SMIs president. With its 2500 members divided in 80 local associations, the DCF movement is structured around numerous position-related events. 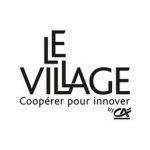 « Entreprise Innovante de Pôles de Compétitivité » (EIP) label aims at bringing a better visibility to the cluster-members and strong growth potential SMEs . Their access to private funding must be accelerated thanks to a preparation. Then to a greater highlight upon capital investors. Bpifrance supports companies to develop bigger and further and create tomorrow’s champions. From the startup status to stock exchange listing, from credit to equity capital, Bpifrance offers in your region funding solutions adapted to each step of your company life. The mayors and local authorities exhibition is the only national appointment that gathers every public order’s big actors with all their institutional partners and the management, services, local authorities planning and development specialists.